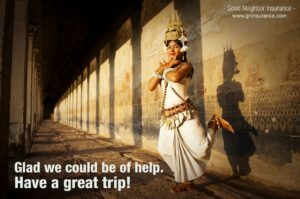 International term life insurance is available through Good Neighbor Insurance (GNI) at https://www.gninsurance.com/overseas-term-life-insurance/. We have two term life insurance plans that will work perfectly for those who are residing outside the U.S. for 12 months or longer. Our guests who are expats have really enjoyed knowing that GNI provides. What happens if a spouse does not have an income. Maybe mom is raising kids and volunteering while overseas and dad is the bread winner. Or maybe mom is the breadwinner and dad is raising kids and volunteering. Can the spouse that is not working get an international term life policy? Yes, the “stay at home” spouse for sure can apply for an international term life policy. Mrs. Client works and has a 65k annual income. She is leaving her job this month to go overseas with her husband to serve and help others. She will have no income and all income will be from her husband’s work. Mrs. Client wants to get an international term life cover on her with her beneficiary being her husband. Can she purchase term life cover on herself with no income? And if so, up to how much face amount? The Petersen plan at https://www.gninsurance.com/petersen-international-term-life-insurance-residing-outside-u-s/ allows for a non-working spouse to get their own international term life policy. They can get up to $250,000 face amount. Our Clements plan at https://www.gninsurance.com/clements-international-term-life-insurance/ will allow for the non-working spouse to use the other spouse’s annual income. They can get up to 10x face amount of the annual income of the working spouse. Call our professional international insurance agents at 866-636-9100/ 480-633-9500 to answer any questions that you may have. We are here to serve you, our guests! 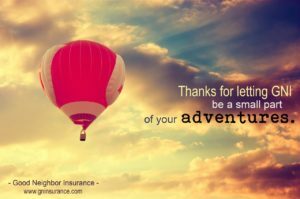 Our you may email us at info@gninsurance.com.